A battered notebook lists the people still alive in this village after a devastating cyclone. But sip by sip, a deadly threat remains. 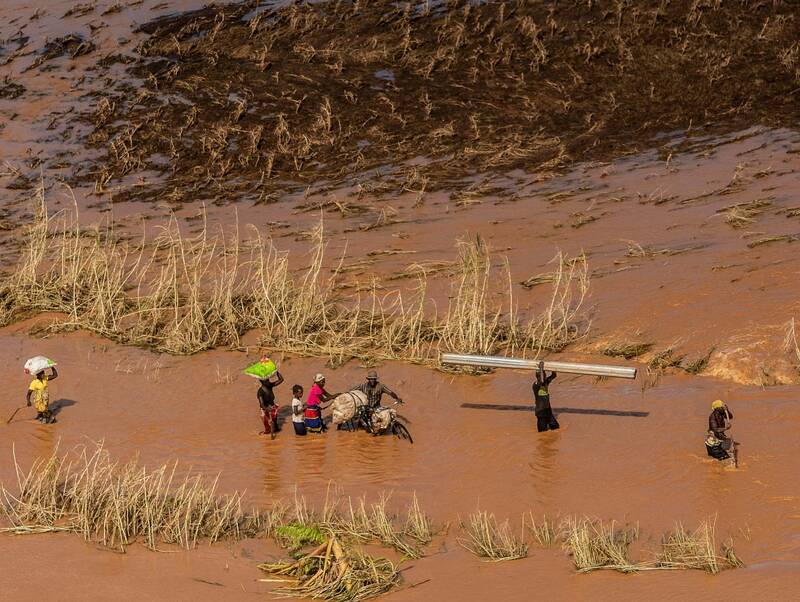 Nearly a month after Cyclone Idai made landfall in Mozambique and unleashed flooding that reached the tops of trees, more than 1,300 people in Bopira have been drinking from the local pond and whatever the muddy waters left behind, including the contents of flooded latrines. The conditions are ripe for deadly disease. 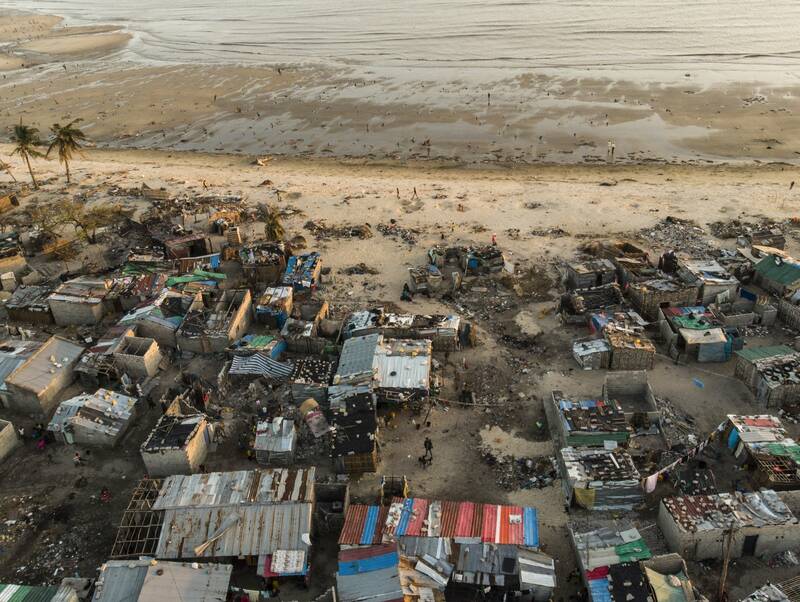 Already a cholera outbreak has been declared in the regional city of Beira, many of whose half-million residents live in slums, and in a few outlying communities where scores of thousands of people now huddle in displacement camps with few toilets and little clean water. Confirmed cases of the acute diarrheal disease quickly shot from five when it was declared on March 27 into the hundreds and currently is above 3,100, with six deaths. Now health workers are holding their breath, encouraged by a rapid response in Beira and the restoration of running water there, though it reaches only 60 percent of the city's residents. "I'm quite optimistic. Yes, honestly," Julien Graveleau, a cholera specialist with the United Nations who coordinates the post-cyclone water and sanitation relief effort, told the Associated Press. "Of course, the numbers will be increasing but I believe we're ready for it." Plenty of challenges lie ahead. "We have seen one today," Graveleau said of his visit to Bopira, where he demonstrated how to use a shipment of water filters. But in a week or so the effects of a huge cholera vaccination campaign should start to be seen, he said. Nearly 900,000 oral cholera vaccines arrived in Beira last week for a mass vaccination that Doctors Without Borders calls "the most ambitious campaign ever conducted using the one-dose oral cholera vaccine strategy." The vaccine is normally given in two spaced-out doses but the aid group asserts that one dose is effective in emergencies where it can be difficult to find people for the second. A single dose offers six months of coverage. Now hundreds of vaccine promoters are said to be active in Beira and elsewhere, messaging with megaphones or handing out the doses in high-traffic areas. Cholera is endemic in Mozambique, a hotspot in Africa along with parts of Congo, Nigeria, Ethiopia and Zimbabwe, and many people are familiar with purification tablets and other precautions. At the popular Shoprite grocery, people knocked back the doses like shots in a bar and walked on. More than 70 percent of the vaccines had been administered as of Sunday morning, Mozambique's health ministry said. "We were prepared really for the worst," said Francisca Baptista da Silva, a project coordinator for Doctors Without Borders, which operates cholera treatment centers and oral rehydration centers. "But for the moment we are controlling it." She spoke at a cholera treatment center in the worn-down Beira neighborhood of Pioneros, where fetid pools of water remained in the streets and a young woman balancing a bucket of water from a nearby tap stepped carefully around the gray mud. "It's a big problem," said Rosa Zimbane, who was selling bottled water outside the treatment center and reported herself healthy so far. An ambulance carrying two women with small children was parked at the entrance. Treatment for cholera can be simple rehydration but it must come quickly, as the disease can kill within hours. More severe cases need intravenous drips, and inside the center more than a dozen people lay on beds with strategically placed holes, with two buckets at the ready. One was for vomiting. This cholera outbreak is more complicated for people with HIV in a country where some 13 percent of people have the virus, a prevalence considered very high. The cholera treatment centers are not normally equipped for people with immune systems weakened by HIV, and many people stopped receiving regular care after the cyclone, da Silva said. Now the cholera treatment centers have basic stocks of antiretroviral drugs and basic testing for depressed immune systems, said Dr. Katrien Duquet at the Pioneros center. Overall the medical charity had been expecting more cholera cases, project coordinator da Silva said. "It never spiked to the level we thought." Such spikes occur two to three weeks after an outbreak. The dry season that begins in the coming weeks is expected to help contain the disease across the region. And yet health workers are not relaxing. Outlying areas like the riverside town of Buzi, where disease surveillance is much weaker, remain a concern. "People are still afraid of cholera," da Silva said. "We are not claiming this is over."